Musikalisches Porträt des türkischen Weltmusikers und Multiinstrumentalisten. Von der ersten Zusammenarbeit mit Gitarrist Brian Keane, Süleyman the Magnificent über die erfolgreichen Alben Whirling, Firedance, Mystical Garden, Crescent Moon, Beyond The Sky, bis hin zur Koproduktion mit dem australischen Perkussionisten Michael Askill (Salome, 15031-2). Special Tracks: Mastika, mit Faruks Band aus den 80er Jahren, The Sultans, und Village Song aus einem live Rundfunkkonzert in New York. Im Booklet ausführliche Biografie mit Fotos. Faruk's first international exposure was on Brian Keane's 1988 album Süleyman the Magnificent (13023). A film was being made about the Ottoman emperor Süleyman to coincide with the opening of an exhibition at New York's Metropolitan Museum of Art, and Keane was hired to do the soundtrack. Wanting to incorporate Turkish instruments and players, Keane called Arif Mardin, the legendary producer of the Bee Gees and Aretha Franklin and asked if he knew any Turkish musicians. He didn't, but called later saying his cooks went to Fazils, a belly dance club in Manhattan. This is where Keane first heard Faruk play, and he recalls, "You could tell immediately that he was different. His playing was so emotional, he really stood out." Keane knew what he wanted for the soundtrack—the mystical sound of the Sufi flute, or ney, added to his own synthesizer. As far as he knew, this combination hadn't been done before, and he invited Faruk to his studio to try it. "When Faruk started playing," he says, "the hairs on the back of my neck stood up. It was magic from the start." This compilation contains Faruk's finest work, including a previously unissued performance from a WNYC-FM radio concert recorded in New York City in 1990 and a track by Faruk's old band, The Sultans, culled from a private release. "Working with Faruk has been one of the most satisfying muiscal experiences of my life," says Keane. 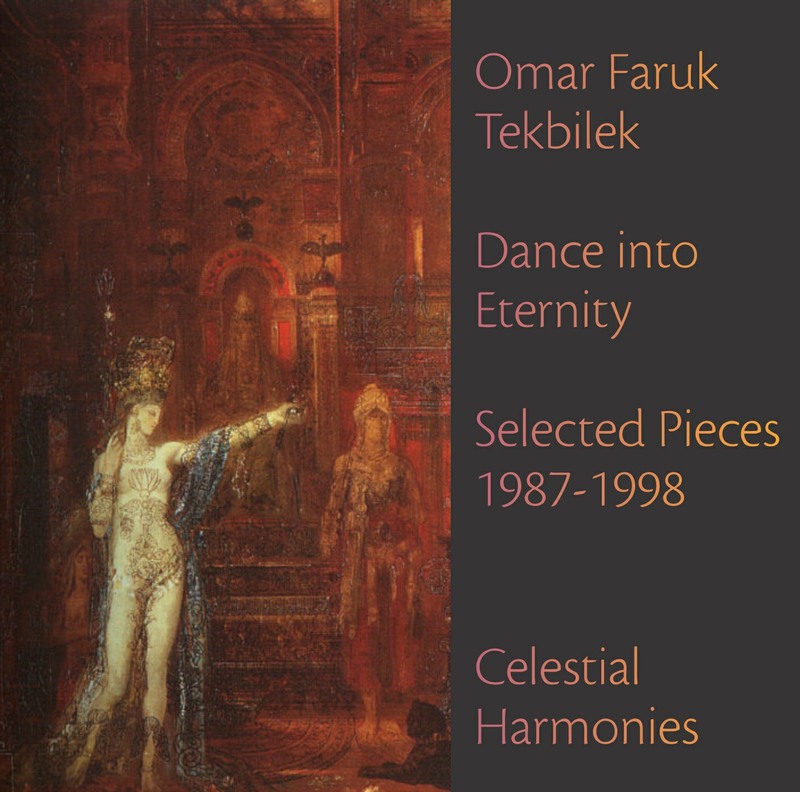 Both helped with the music selection on this compilation, which reflects some of the finest flowerings of Faruk's Tree of Patience. "I have a picture I carry in my mind," Faruk reveals. "I call it the Tree of Patience." The road to becoming a professional musician was long and winding, a journey which required a fair amount of patience and acceptance of some unusual situations. "My first teacher taught baglama (the long-necked Turkish lute)," he explains. "He had a music store, but he also had a regular government job during the day. So he told me, come after school, open the store, and I will teach you." Working in the store, Faruk learned the intricate rhythms of Turkish music, how to read scales, and more. But if the roots of Faruk's Tree of Patience were sown at home, in the small town of Adanali, Turkey, the trunk, he explains, grew up in the big city—Istanbul. Faruk had been studying Sufism, the mystical branch of Islam, with the thought of becoming a Sufi cleric. At 15, he quit school to become a professional musician. "But I never quit studying, though," he maintains. "In fact, I am still studying; it's endless. Music for me is not something to show off. It's my life. It's the shortest path to God. Playing is prayer for me." He went to Istanbul and at the age of 17 met the Mevlevi Dervishes, the ancient Sufi order of Turkey. He did not join the order, but felt profoundly influenced by their mystical approach to sound and to the spirit. 1 A Call to Prayer from Fire Dance (13032) 5'20"
2 Imaginary Traveler from Beyond The Sky (13047) 6'07"
3 Siseler from Beyond The Sky (13047) 3'48"
4 Ayasofya (Saint Sophia) from Süleyman the Magnificent (13023) 3'13"
5 Song of the Pharaohs from Fire Dance (13032) 5'56"
6 Hasret from Mystical Garden (13092) 5'42"
7 John the Baptist and Salome from Salome (15031) 4'37"
8 Crescent Moon from Crescent Moon (13176) 7'55"
9 Gawazi from Whirling (13086) 4'37"
10 Laz from Mystical Garden (13092) 3'55"
11 Kolaymi from Beyond The Sky (13047) 5'15"
12 Mastika from The Best of the Sultans (FTS 001) 4'05"
13 Topkapinin Bahcesi from Süleyman the Magnificent (13023) 1'57"
14 Whirling Dervish from Whirling (13086) 10'40"
15 Village Song previously unreleased, Recorded at New Sounds Live 3'18"